Was a full time mom of three until 2000, married my husband and became a mom to four more children. Worked in the auto industry for 9 years in Las Vegas and Southern California. Moved to Ohio in 2009, went back to school and graduated with an Associate Degree in the medical field. Enjoying this time of my life with 13 grand children. SHERRI KUHNWALD (1982) THOMAS has a birthday today. 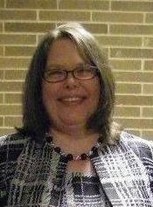 SHERRI KUHNWALD (1982) THOMAS updated her profile. View. SHERRI KUHNWALD (1982) THOMAS changed her profile picture.